Fast Growing Marijuana Seeds: Where to Get Them? It takes a significant amount of time and dedication to cultivate any marijuana seeds. You need to regularly water your plants, check on their health, and make sure they receive the right amount of light exposure. Fortunately, there are autoflowering seeds that take around two months to grow into a harvest ready plant instead of the average four months. Let us take a close look at this kind of cannabis strains and show you where to get marijuana seeds that grow fast. Regular marijuana strains rely on the photoperiod schedule to determine when to enter its next life cycle. The Photoperiod is the hours of light a plant is under. 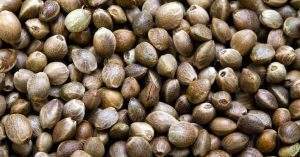 Cannabis seeds will stay in the vegetative phase indefinitely and not enter the flowering phase when it does not receive longer dark hours. On the other hand, autoflowering seeds are genetically capable of going through the different growth cycles of a cannabis plant regardless of the light schedule. Even if you place the plants under 24 hours of artificial light, they will still enter the flowering phase from the vegetative phase. This characteristic comes from the ruderalis lineage, a plant that can grow in harsh environments. Because of its genetics, autoflowering seeds can go through the different cycles of a cannabis plant in as little as 10 weeks. Another interesting characteristic of autoflowering strains is its compact plants. Most auto marijuana plants grow an average of one to two feet tall only. The size puts auto seed at a disadvantage when it comes to yield rate because of the small size of its buds. However, many breeders benefit from the small size of the plants when it comes discreet cultivation of marijuana. Physical dispensaries within your area or near your home are the first thing to consider. Certain cannabis stores may offer seeds for sale apart from a variety of marijuana strains. While the selection is limited and some dispensaries only sell regular seeds, you can inspect the quality of their seeds while within the shop before buying them. Physical stores let you guarantee that the autoflowering seeds you are buying will have no problem in growing into a healthy plant. You can also take it home with you and immediately germinate it on the same day you buy your seeds. While many physical dispensaries carry a limited variety of seeds, online marijuana shops are where to get marijuana seeds of nearly any kind. Unlike a physical store, online dispensaries store their products in a warehouse instead of a storage room. This allows online sites to have a wide range of cannabis seeds at any time. You have a good chance of finding an autoflowering version of your favorite strain when buying seeds online. Apart from a large catalog of autoflowering seeds, online dispensary offer them at a cheaper price than physical stores. These stores even offer special promotions such as discounts for bulk orders or free shipping. If you take into consideration the cost of gas or transportation fare to any dispensary, you can get a better deal for your money when buying autoflowering seeds online. While online dispensaries offer a large range of autoflowering seeds at a cheaper price, there is risk involved in transacting with them. It is not possible to inspect and handpick the seeds that you will buy from these stores. You can only rely on a company’s reputation that they will send high-quality seeds. Apart from receiving a bad product, you might visit a rogue online store that may steal your money and personal information. Safe online buying practices will help protect yourself from being a victim to hackers or scammers. This includes making sure the website has an encrypted connection to your device. You can do this by checking the URL of an online dispensary. A secured site will have an HTTPS on their address bar instead of just HTTP. An encrypted connection will keep any data private and nearly impossible to read for any hackers. Use a credible cannabis community site or database page when looking for a dispensary to buy your autoflowering seeds. These sites will give you a list of local and online dispensaries along with details for each company. You can also find customer reviews for various cannabis shops. You can use the feedback to get a good idea on how a dispensary will treat your transaction. If you are going to buy from a dispensary for the first time, order only the minimum amount of autoflowering seeds as possible. This will give you a firsthand experience with buying from a specific store. You also minimize the stress should anything happen to your order or if the dispensary gave you only regular seeds. With a large selection on autoflowering seed on the market, it can be boggling to pick one for your own garden. Here are some of the strains to consider cultivating. This strain is a lite version of the Critical with a THC potency of 14 percent. Unlike Critical, Royal Critical will not make you sleepy right away. The strain delivers a motivating high that will give you energy and focus on finishing various tasks. Over time, the high will lead to a soothing stone that leaves you relaxed and still functional. This strain has a strong pine aroma with a mix of various sweet spices. Burning the strain will release a pungent skunk smell that tickles that nose. The Royal AK comes from the crossing of Mexican, Thai, Columbian, and Afghani. This results in a potent strain that delivers a psychedelic high. Smoking the Royal AK will make you feel like flying across the stratosphere on a cloud of bliss. The indica nature of this strain also takes effect at the start of high, smoothing out any tense part of your body. As you come down from the high, the sedative effect takes over in full force. Smoking the Royal AK will unleash a spicy musk aroma that lingers in the air. The smell is like that of burning incense with a mix of sweet spices. The Amnesia Haze packs a powerful punch with its THC potency of up to 22 percent. The sativa high induces a psychedelic experience that will change your perspective of your surroundings while improving your mood. Any negative thoughts will clear away from your mind after smoking the Amnesia Haze. At the same time, you will get a boost of energy that will get you engaged with any type of tasks. This makes the Amnesia haze a good wake-and-bake strain in the morning. The aroma of the Amnesia Haze has a strong citrus profile. Tearing apart the bud will seem like cutting open a ripe lime. The Pineapple Express is the autoflowering version of the Pineapple Chunk strain. Being an indica dominant hybrid, this strain delivers a relaxing high that elevates your mood while blanketing your body with a soothing buzz. The effect is also a good pain reliever that melts away various aches. It is worth noting that the sedative effect is not too potent to leave you incredibly sleepy. You can still do a light physical activity after smoking the Pineapple Express. As you can expect from the name, the strain emits a familiar smell of pineapples and citrus fruits. The smoke also has a sweet tropical fruit flavor that tastes like a popular chewing gum. At this point, you now know where to find autoflowering seeds and how they are different from regular ones. Always remember to be vigilant when buying from any online dispensary for the first time. Check on the security of a website and make small orders to make sure that you get quality seeds from a specific store. Autoflowering cannabis plants make it easy for any new breeders to try cultivating marijuana for themselves. This is a good way for you to introduce cannabis production to family and friends. Everyone in the marijuana community must find ways to tear down decades-old misinformation about cannabis. As Krishna Andavolu has said, “The mindset around weed is based on old stigmas based on bad information.” Breaking down these stigmas will help build a positive public view on pot.